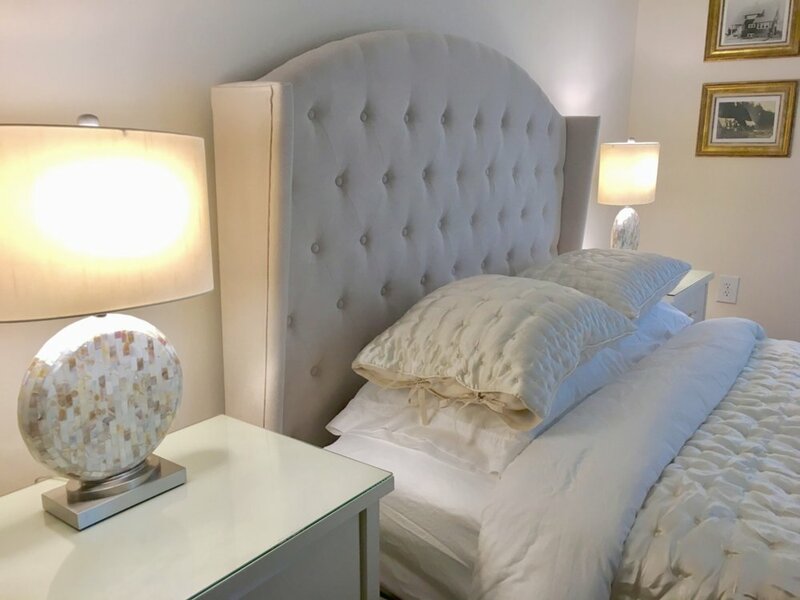 Enjoy a relaxed stay in one of our secluded rooms with a full service breakfast, or reserve the Exclusive Package rental for your family or event. 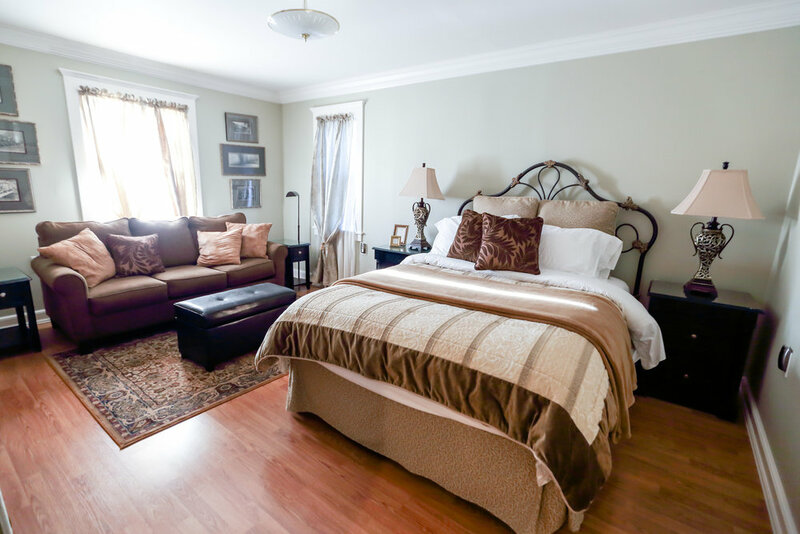 With a queen bed, private bathroom with shower, large sleeper sofa and a tidy work station, the Fiddlehead room has all the amenities for a vacation or work retreat. Tucked away in the corner of the expansive upstairs, it's the perfect retreat to 'civilization' amidst the Alaskan wilderness. 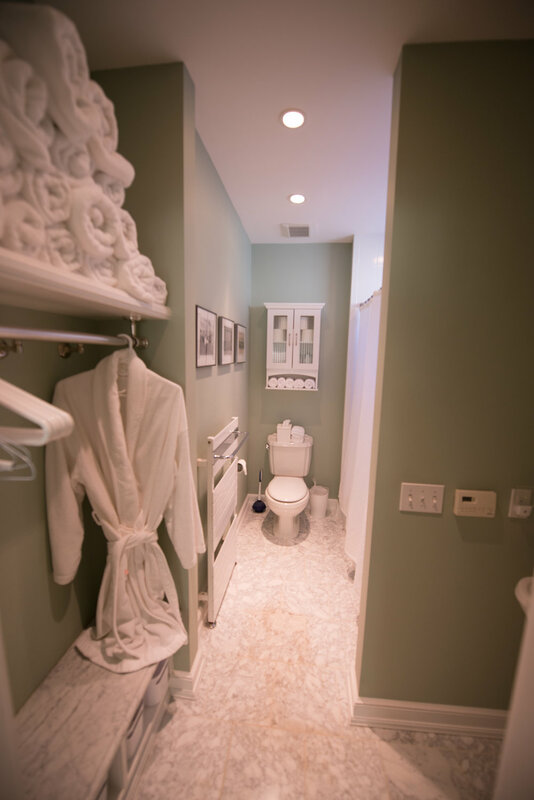 Enjoy the comfortable queen bed, attached private shower/bathroom and large closet space after a day soaking in Juneau's natural beauty. Located upstairs, the Hawthorne room offers a wonderful view of the Mt. Jumbo and the gorgeous summer sunrise. 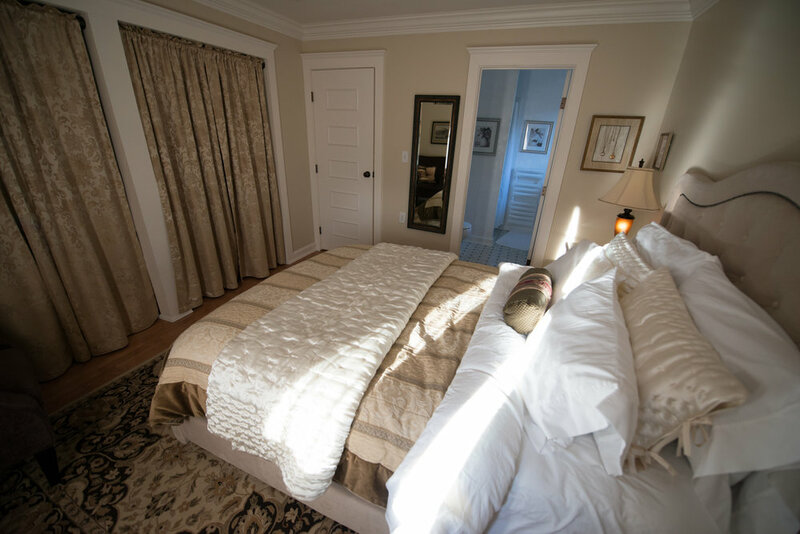 This large, private suite gives a glimpse into Juneau's past through the historic photos decorating the walls. 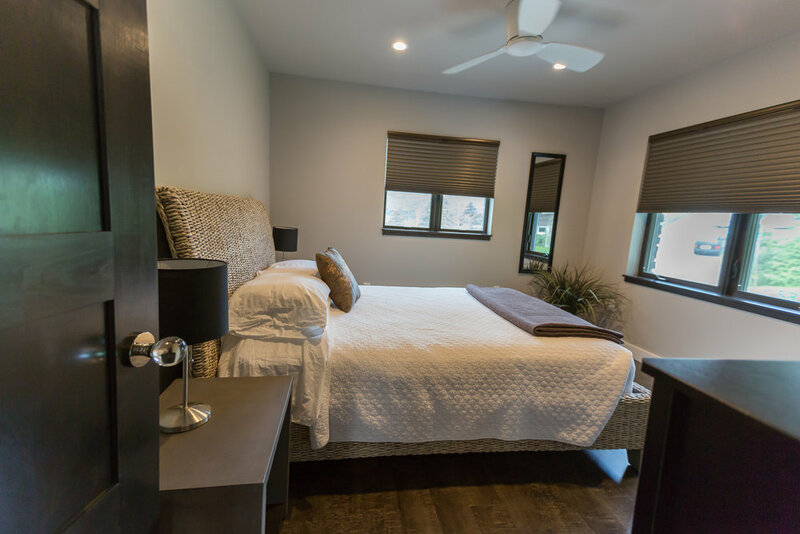 A walk-in closet, sleeper sofa, and attached private shower with bath make this room both comfortable and the largest room offered at The Jorgenson House. 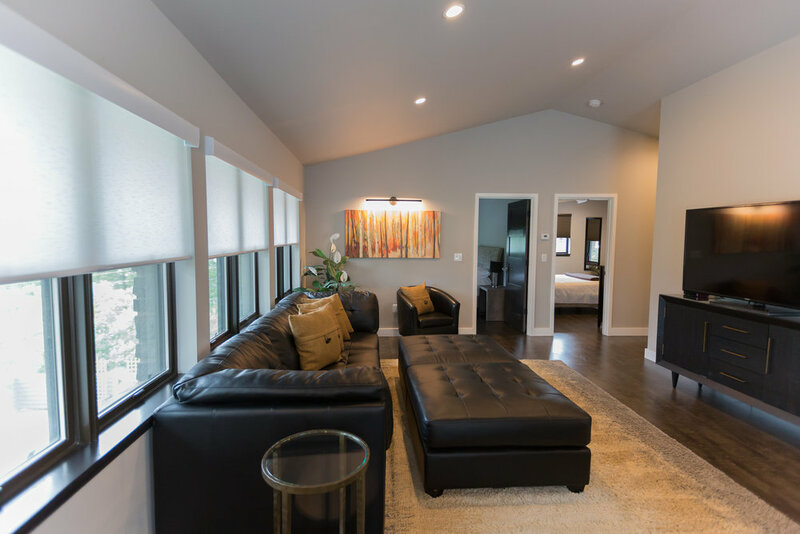 With a private entrance from our expansive sunroom, hide away on your secluded honeymoon getaway while you view the sun streaming through the views of Mt. Jumbo. Relax in the attached Spa room with a full sized bathtub, shower and powder mirror. In-house massages and other specialized services are available upon request for special nights or anyone looking for an extra touch. 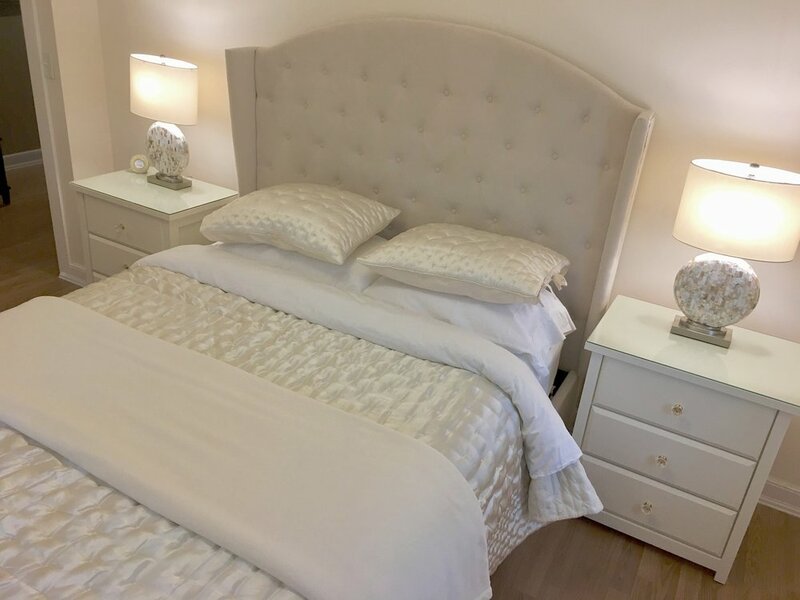 This brand new apartment-style suite offers two queen bedrooms, expansive private living area, an immaculate and modern kitchen, high-end appliances and a full bathroom suite. 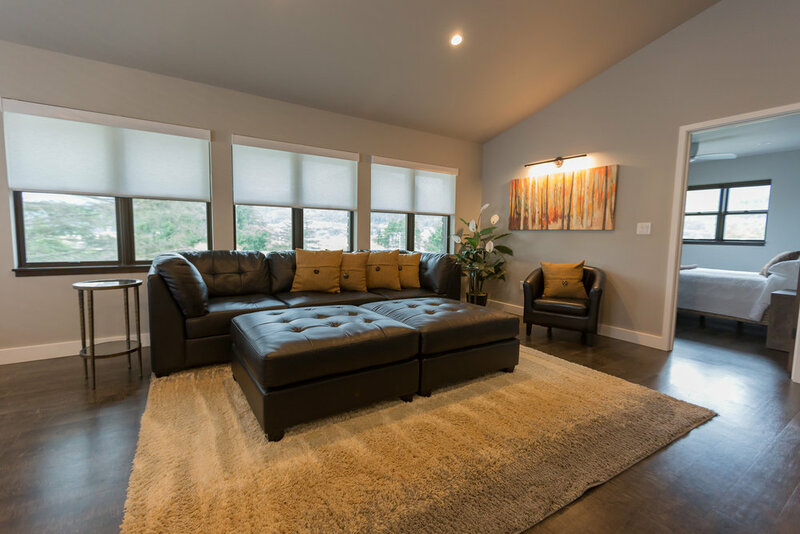 The second story location provides sweeping mountain and water views from large windows while a private entrance and washer and dryer make The Penthouse an ideal option families or longer stays. The nightly rate for The Penthouse does not include breakfast service, however, breakfast is available to guests if arranged in advance. A credit card is required at the time of booking for all reservations. 50% of the total reservation will be charged 30 days prior to arrival. Due to our very limited availability, this amount is non refundable in the event of cancellation less than 30 days prior to arrival. The full amount of the reservation will be charged if cancelled less than 48 hours prior to arrival.